It’s safe to say that us Brits have some of the best motorcycle racers of all time, but maybe we’re just a little bit biased. Over the past 80 years there have been some phenomenal moments making history including Hutchinson’s fantastic returning to the road racing scene three years after nearly losing his legs, Hailwood storming the World Championships year-on-year during the 1960’s, and McGuinness proving to everyone he really is King of the TT, and even Foggy winning reality TV show ‘I’m a Celeb’ bringing a whole new audience to the racing world! Lincolnshire’s Burnett started out as mechanic to near neighbour Roger Marshall but began to make his own mark as a rider in 1983. Two years later, he was signed by Honda Britain and repaid the faith shown in him by winning the 1986 1300cc British Championship and Senior TT. A year in the 500cc World Championship followed before he switched to the World Superbike Championship for two seasons where he stood on the podium. Another rostrum came at the TT in 1988 and he returned to the UK, firstly with Suzuki and then Honda, retiring at the end of the 1991 season. 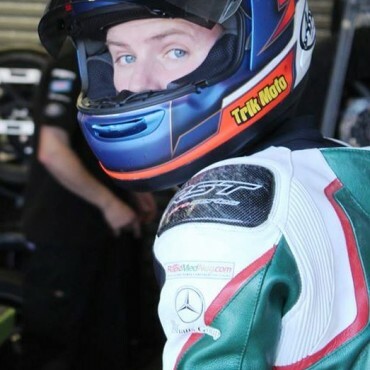 Hailing from the same town, Hawick, as his idol Steve Hislop, Easton made his mark as a teenager when he finished third in the 2000 125cc British Championship and two years later he became British Supersport Champion. Since then he’s become a front runner in the British Superbike Championship, briefly returning to the Supersport class which he won again in 2013, as well as winning the Macau Grand Prix on four occasions. 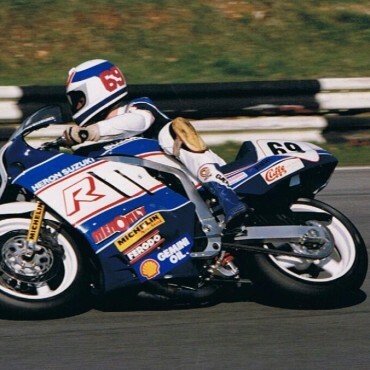 A tough Glaswegian, Moodie was a multiple British Champion in the 1990s enjoying success in both the British Superbike and Supersport Championships. 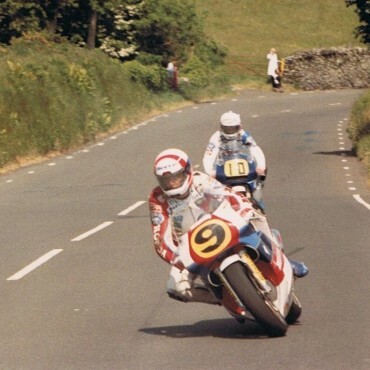 He was equally adept on both the short circuits and road circuits, taking eight victories at the Isle of Man TT and 29 International road race podiums in total. 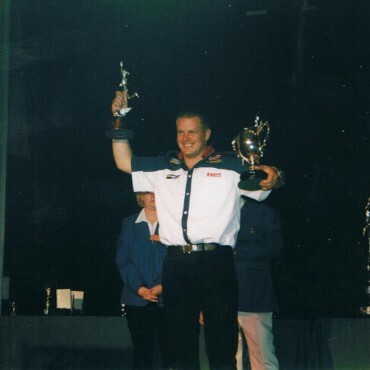 One of Britain’s most naturally talented riders, Harris first appeared in the British Superteen Championship before going on to win the 1999 European Superstock Championship. He returned to the UK in 2001 and won three British Supersport titles in the space of four years which enabled him to make the move into British Superbikes. Riding for Suzuki, Honda and Yamaha, he stood on a BSB podium on 12 occasions but sadly lost his life at the Isle of Man TT in 2014. Derbyshire rider valiantly flew the British flag in the 80cc World Championship in the mid-1980s, finishing fifth overall in 1987 and sixth in both 1985 and 1986. He famously won the 80cc British Grand Prix in 1986 and when he returned to the UK towards the end of the decade, he was equally successful being a regular winner in the 125cc, 250cc and Supersport 400cc classes. Born in 1885, Collier is famous for winning the first ever Isle of Man TT race in 1907, a feat he repeated in 1910 whilst he was also the first rider to be disqualified from a TT race after illegally refueling. Riding Matchless motorcycles manufactured by his father’s company, Collier set numerous world motorcycle records and later became joint managing director of AJS and Matchless. Bell began motorcycling as a teenager with his significant result being second at the 1938 North West 200. The outbreak of the Second World War robbed him of, perhaps, his finest year, but he resumed racing in 1947 and promptly won at both the North West and Ulster Grand Prix. Second in that year’s Senior TT saw him snapped up by the factory Norton team and he repaid them by winning the 1948 Senior and 1950 Junior races. His promising career was cut short though by a heavy accident in the 1950 Belgian Grand Prix with many convinced his successes could have been even greater. Williams started racing in 1964 and enjoyed an excellent career which included a TT win in 1973 as well as no less than seven second places around the Mountain Course. 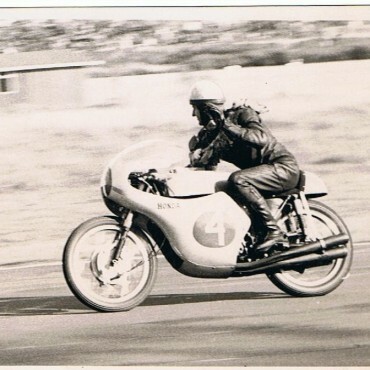 He also won at the North West 200 and was both a Norton employee and rider from 1969 onwards, playing a key role in the development of the Norton Commando. His racing career was cut short by arm injuries received in an accident at Oulton Park in 1974. A talented engineer, Williams introduced alloy wheels to motorbikes and was also an early pioneer of disc brakes. Plater enjoyed a highly successful career, primarily in the British Superbike and Supersport Championships, riding for the official Honda, Kawasaki, Suzuki and Yamaha teams and winning the latter in 2009. The Lincolnshire rider was victorious at the North West 200 on seven occasions, also winning two TT races, the first one coming just a year after he made his debut. He set the fastest ever TT Newcomer’s Lap in 2007 and was the second rider to break the 130mph barrier in 2009 when he won the Senior race whilst he also won the Macau Grand Prix twice. 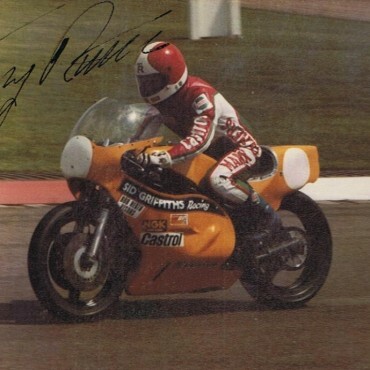 Carter burst onto the British scene as a teenager in the early 1980s and went on to compete in the 250cc World Championship between 1983 and 1990. He won the second Grand Prix race he entered, the 1983 French GP and, at the time, was the youngest ever GP winner. However, he was never able to fulfill his potential and never won another Grand Prix, his best season coming in 1985 when he finished seventh overall. He also won at the North West 200 in 1994. 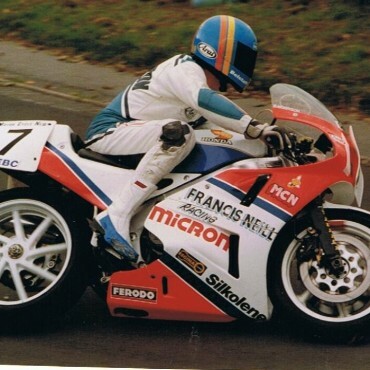 A late starter to road racing, McWilliams was almost 30 when he made his Grand Prix debut in 1993 and had only achieved moderate success in the UK. 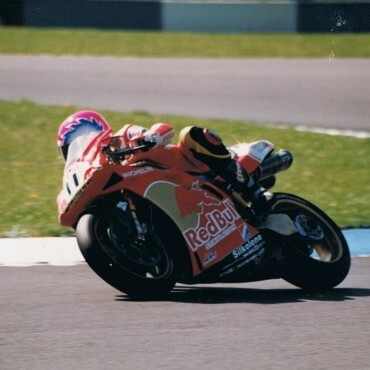 However, as the 90s progressed he established himself as one of the UK’s finest 250cc Grand Prix riders and if he’d had more competitive machinery would surely have stood on the podium on more occasions. His win at the 2001 Dutch Grand Prix was the first by a British rider, in any solo classes, since 1986 whilst he also enjoyed strong performances in the 500cc/MotoGP class for Aprilia and Team Roberts. He’s still racing today and won the Supertwins race at the North West 200 in both 2013 and 2015. Shepherd was one of Britain’s finest riders in the early 1960s, finishing second as a privateer to Mike Hailwood in the 1962 and 1963 500cc World Championships. 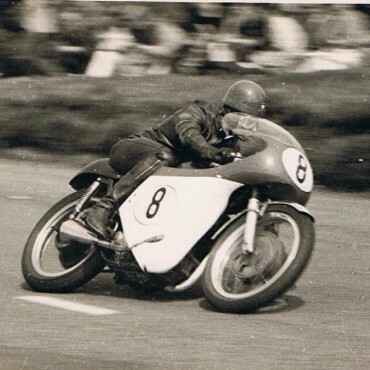 He was also a three-time winner at the North West 200 and double podium finisher at the TT but was seriously injured whilst testing a works Honda towards the end of 1964. He made a full recovery but retired shortly afterwards and die peacefully in 2007. Considered by many to be second only to Joey Dunlop when it comes to naming Northern Ireland’s best ever racer, McCullough enjoyed his greatest success in his homeland winning the Ulster Grand Prix on 12 occasions and the North West 200 on seven. 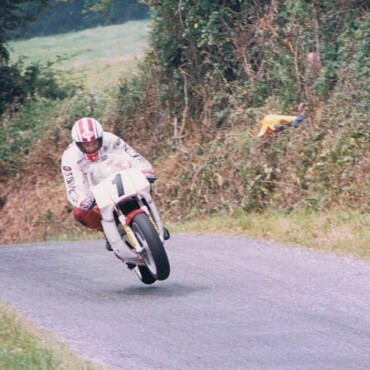 He won countless road races and Championships in Ireland and although he never contested the TT, being reluctant to travel, he did win the Southern 100 Championship. Williams began racing in 1966 and soon established himself as a formidable competitor, particularly at the International road races, where he was a five time winner at the North West 200, being the first rider to win three races in a day in 1974, and Ulster Grand Prix, where he achieved the same feat a year earlier. In 1976, he became the first rider to lap the Isle of Man TT Course at more than 110mph, a year that also saw him beat Barry Sheene to victory in the 500cc Belgian Grand Prix. In total he took four wins and 13 podiums at the TT with the John Williams Trophy awarded annually to the rider who sets the fastest lap in the opening Superbike race. The Cheshire rider lost his life after a crash at the 1978 Ulster Grand Prix. 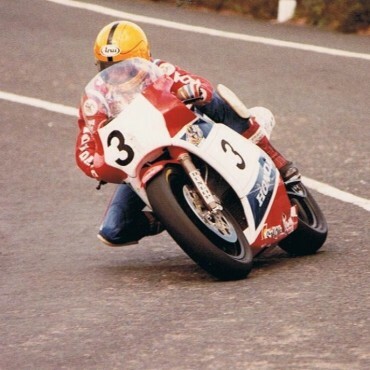 Williams was primarily a 250cc and 350cc specialist, winning the Isle of Man TT races on no less than nine occasions although he did take podiums across the classes with 21 in total. He won three Grand Prix races as well as the 1980 Formula 2 World Championship whilst he was also successful on the UK short circuits. He retired in 1984 to run a motorcycling accessory business and, more recently, has been part of the Radio TT presenting team. 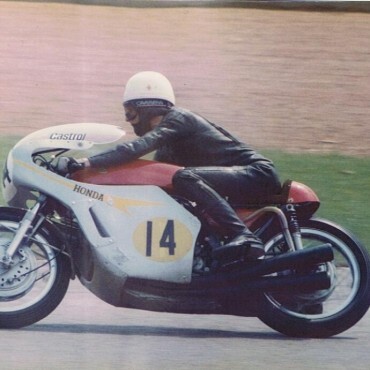 Son of 1949 500cc World Champion Les Graham, Stuart began racing in 1961 with his big break coming when he was signed for the Honda factory team in July 1966. He later rode for Suzuki with his best season coming in 1967 when he won two Grand Prix races and finished the year in third place in both the 50cc and the 125cc world championships. 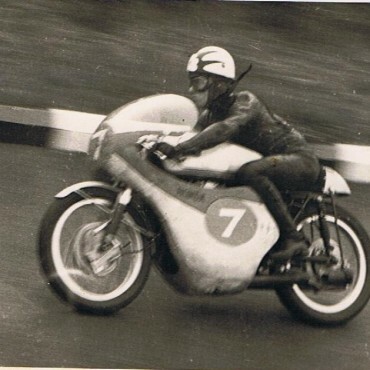 Smart started racing in the mid-1960s winning the ‘Stars of Tomorrow’ race at Mallory Park in 1966 and took his debut podium at the Isle of Man TT in 1967 when he finished second in the 750cc Production race, a result he repeated two years later. His best finish in the World Championship was fifth overall in the 1971 350cc class whilst he also enjoyed success in America riding for Kawasaki and Suzuki. His finest moment, arguably, was in 1972 when he rode an unfancied Ducati to victory in the Imola 200, becoming the first British rider to in the race. Arguably the most famous British racer currently competing, Martin came to fame when he got banned from the British Championships before finding success on the roads. 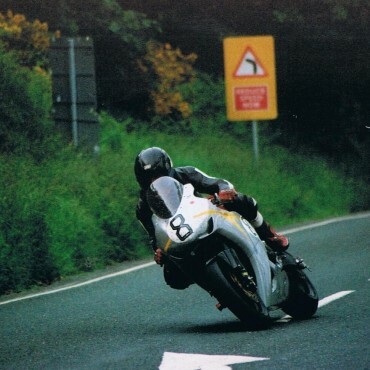 The first newcomer to lap the TT Mountain Course at more than 120mph, in 2004, the Lincolnshire rider has finished on a TT podium more times than any other rider, 16, without actually winning. 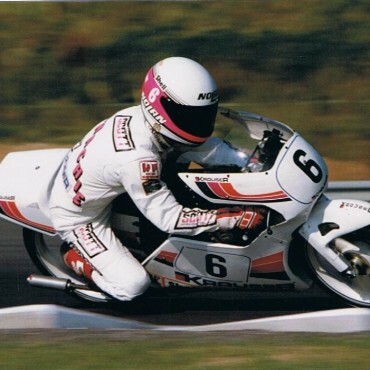 However, he’s won 11 Ulster Grand Prix races, 8 Scarborough Gold Cups and three Southern 100 Championships and is also enjoying a flourishing TV career. Northern Ireland’s Robb had his first road race in 1957 and he went on to finish third in that year’s 250cc Ulster Grand Prix. 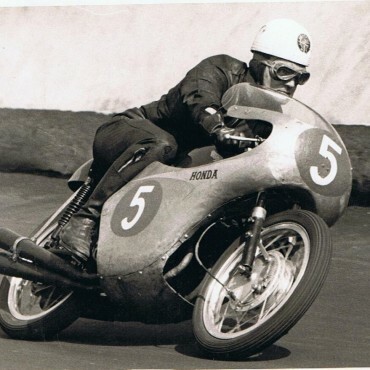 He joined the works Honda team in 1962, winning his first world championship race in the 1962 250cc Ulster Grand Prix with further wins coming at the Japanese GP. He finished second in that year’s 350cc World championship and later joined the works Yamaha team ending his GP career with three wins and 28 podiums. 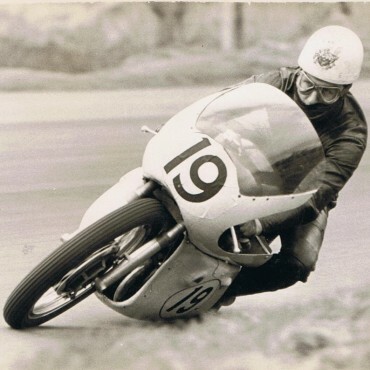 In addition, he won the 1973 Lightweight 125cc TT and was victorious at the North West 200 on five occasions. Morrison was one of the UK’s most versatile riders for almost two decades and after winning at the Isle of Man TT (where he was the second rider ever to lap at more than 120mph) and taking numerous British Championships, he enjoyed considerable success in the World Superbike series. Some of his finest moments came in Endurance racing where he was World Champion and winner at both the Bol d’Or and Le Mans 24 hour events. He was also a podium finisher at the Macau Grand Prix. Camier started his racing career in grass track, becoming a multiple British Champion, a feat he repeated on the tarmac during the 2000s. The Kent rider was British 125cc, Supersport and Superbike Champion between 2001 and 2009, winning more Superbike races in a season, 19, than any other rider. 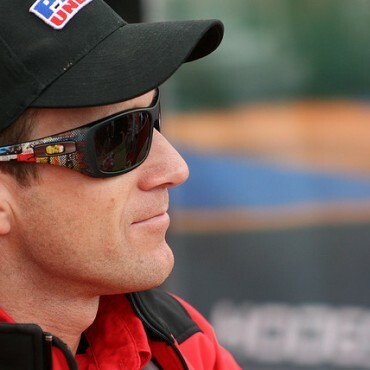 Since 2010, he’s competed in the World Superbike Championship for the factory Aprilia, Suzuki and MV Agusta teams with his best year coming in 2011 when he placed seventh overall. 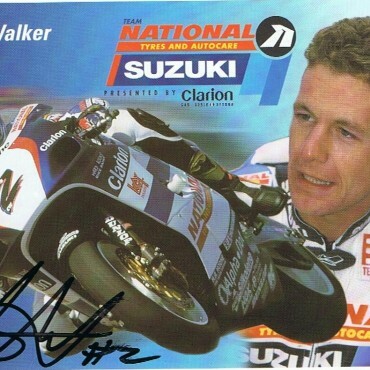 The best rider never to have won the British Superbike Championship, Walker finished second overall for four consecutive seasons from 1997-2000, famously losing the 2000 title with just a few laps of the final race remaining. He moved briefly into 500cc GP’s and then spent five seasons in the World Superbike Championship, winning his only race at Holland in 2006. His best year came in 2003 when he took sixth overall whilst he also has a career total of 12 podiums. He returned to the UK in 2009 and has remained in the BSB Championship ever since, taking his last win at Oulton Park in 2012. 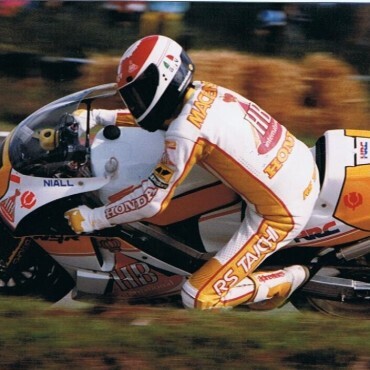 Son of Tony, Michael Rutter has competed in more British Superbike races than any other rider and although he’s never won the Championship, he’s finished second twice and third three times. His BSB record currently reads 28 race wins and 102 podiums, the latter the third highest of all time. With 13 race wins at the North West 200 and four at the Isle of Man TT, Rutter is also one of the rare breed of current riders who is equally successful on both the roads and the short circuits. He’s also won the Macau Grand Prix more times than any other rider with eight victories. British Solo Champion in 1975 and 1977, Marshall was Britain’s best privateer in the late 1970s, finally getting his break as team-mate to Wayne Gardner at Moriwaki Kawasaki in 1981. A move to Heron Suzuki and then Honda Britain saw him go on to win a total of 11 British Championships, dominating the UK scene in 1982, 1985 and 1987, also finishing a close second to Joey Dunlop in the 1984 World F1 Championship. He never quite managed a TT win, taking second three times, but he was twice a winner at both the North West 200 and Ulster Grand Prix. 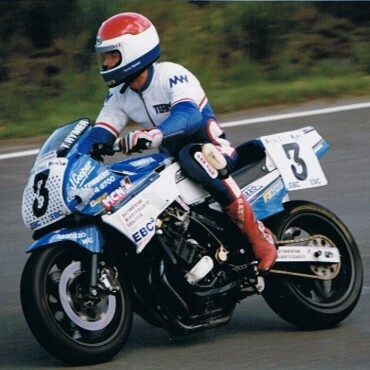 Scottish ace Simpson came to prominence in 1988 when, aged just 18, he finished second in the British Production Championship. He went on to win five British Championships between 1991 and 1997 with his best year coming in 1994 when he dominated the British Superbike Championship on the Duckhams Norton. 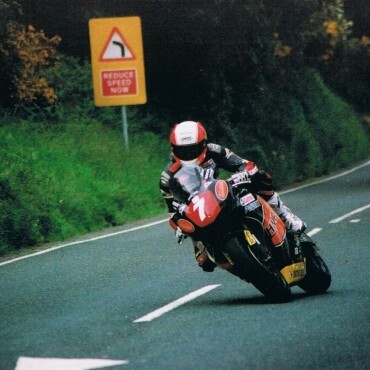 He was also a superb road racer, winning three Isle of Man TT races – becoming the third fastest rider at the time in 1998 – and five at the North West 200 and would surely have won more had it not been for serious leg injuries in 1999 and 2000 which led him to retire at the age of just 30. 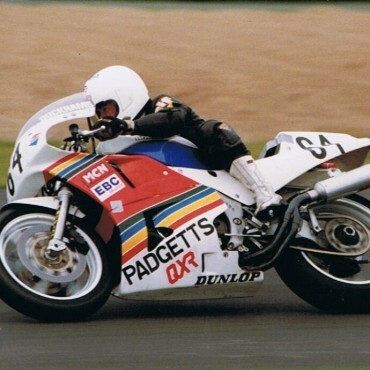 Having initially enjoyed success in motocross, Reynolds switched to the tarmac in 1987 and just five years later won the first of his three British Superbike Championships. Indeed, he dominated the domestic scene in 1992 and it led to four years of racing on the continent, firstly in 500cc GPs and then World Superbikes, where he scored a number of podiums. He returned to the UK in 1997 and had five years with Ducati, winning his second British title in 2001 before moving to Suzuki where he won a third title in 2004. A number of injuries during 2005 led to him announcing his retirement. Another of Britain’s leading short circuit racers in the 1950s and 1960s, Minter rode a variety of machinery during his career but his remembered most for being the undisputed ‘King of Brands’ such was his dominance at the Kent venue. Although he didn’t venture abroad to the World Championship too often, Minter became the first rider to lap the Isle of Man TT course at more than 100 mph on a single cylinder machine and won the 1962 250cc Lightweight TT race on a privately entered Honda. He was chosen to ride for Geoff Duke’s Gilera team in 1963 before returning to the UK for the remainder of his career, winning countless more races. He retired in 1967 with the Portobello Straight at Brands Hatch being re-named the Derek Minter Straight. He died in 2015 aged 82. McElnea first found fame for Heron Suzuki winning three Isle of Man TT races in 1983 and 1984 and he then competed in GP’s until 1989. His best year came in 1986 when he finished fifth overall for Marlboro Yamaha whilst he also rode factory bikes for Pepsi Suzuki and Cabin Honda. In 1990, he switched to the Superbike class finishing fifth in the World Championship for Loctite Yamaha. He then concentrated on the British Championships, winning the Superbike title in 1991 and although his career was ended by injury in 1993, he successfully ran Yamaha’s British Superbike team until 2011. Dixon finished second to Steve Webster in the 1982 Marlboro Clubman’s Championship before switching to solos, beating Carl Fogarty to the 1985 250cc Marlboro Clubman’s Championship, and then taking third in the British Championship a year later. He then won the 1988 Formula One British Championship before reverting back to sidecars where he went on to win the 1995 and 1996 World Championships. One of the most versatile racers ever, he was still riding in the 125cc and 250cc British Championships at this time and ended his career in the British Superbike Championship. Oxfordshire’s Gould began racing in 1961 and after establishing himself in the British Championships, moved onto the World stage in 1967. He went on to ride for the factory Yamaha team, winning the 1970 250cc World Championship and also finishing second in 1971 and third in 1972. At the end of 1972, he retired from racing and became Yamaha’s European racing manager. 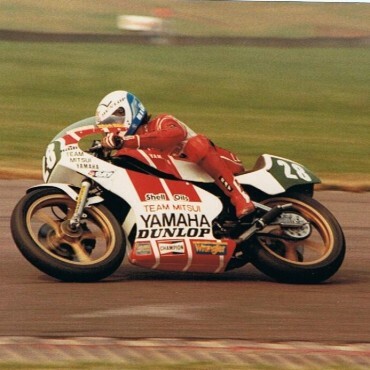 Rymer burst onto the National scene in 1987 when he won races in the MCN Superstock Championship and a year later he switched to the World Superbike Championship ending the year in tenth overall. For the next two seasons, he was Britain’s best rider in the series becoming the first British rider to win a race in the Championship. He was a regular in the series until 1994 whilst he was also British Superbike Champion in 1990 and twice World Endurance Champion, in 1992 and 1999. He won the prestigious Bol d’Or on five occasions as well as the Le Mans 24-Hour once. Kent did little racing in the British Championship, moving early to the Spanish 125cc Championship and Red Bull Rookies Cup, where he finished runner-up in 2010. He moved into the Grand Prix series a year later and after finishing 11th, improved to fourth overall in 2012 taking his first Grand Prix wins. 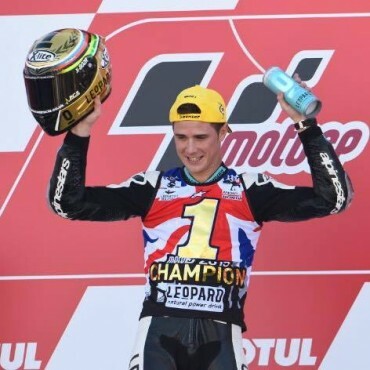 After a disappointing year in Moto2, he returned to Moto 3 in 2014 finishing eighth overall but his best moment came in 2015 when six wins helped him clinch the Moto 3 World Championship thus ending Great Britain’s 38-year wait for a Grand Prix world champion. Scottish rider Anderson was one of the first British riders to make his living racing motorcycles on the European continent, riding primarily for the Moto Guzzi factory. Having finished second in the 1952 250cc World Championship he took both the 1953 and 1954 350cc World Championships, the first in the class by a non-British bike. He retired from racing at the end of 1954 but returned with BMW in 1956 only to be killed at Floreffe, Belgium. Wal Handley was born in 1902 with his debut at the Isle of Man TT coming in 1922 when he famously set off for his first practice lap in the wrong direction! In 1925, he became the first rider to win two TT races in a week, the Junior and Ultra-Lightweight, and set three fastest laps. The following year he finished second in his first Senior TT coming through the pack from 22nd after being delayed by over seven minutes with plug trouble. In 1927, he won his third TT, taking the Lightweight TT with his fourth coming in the Senior TT of 1930 and, in total, he stood on a TT rostrum on nine occasions. He was commemorated on the TT course with ‘Handley’s Cottage’ named because here on the S bend near the 12th milestone he had his first high speed crash on the fourth lap of the 1932 Senior TT. He died in a World War II aircraft accident in 1941 while serving as pilot with the Air Transport Auxiliary. 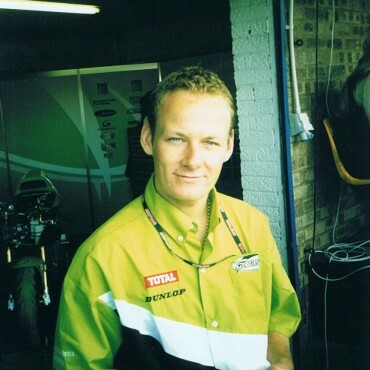 Whitham won numerous British Championships in the Superbike, Production and 80cc categories, taking victories in the former in 1991 and 1993. 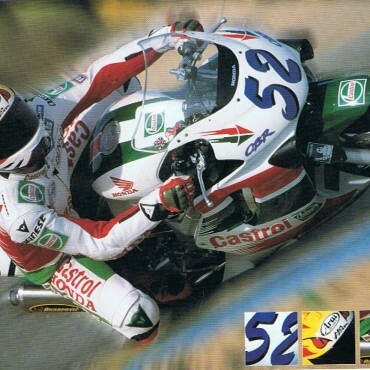 He soon moved into the World Superbike Championship where, riding Yamaha, Ducati and Suzuki machinery, he recorded a solitary win and eight podiums, taking a best finish of seventh overall in 1994. Switching to the World Supersport Championship in 2000, he enjoyed three strong years in the series with numerous wins and podiums but, having successfully overcome Hodgkins Disease in the mid-90’s, glaucoma forced him to retire at the end of 2002 and he’s since forged a successful media career. Son of British legend Ron, Leon Haslam started road racing in 1997 in the British Scooter Championship but he soon moved into the British and then World 125cc Championship. GP success was hard to come by and he returned to Britain in 2005, contesting the British Superbike Championship for the official Ducati and Honda teams, finishing second overall in both 2006 and 2008. Since 2009, he’s been a regular in the World Superbike Championship, narrowly missing out on the title in 2010 and having ridden Suzuki, Honda, BMW and Aprilia machines, he now has 5 wins and 38 podiums in the series. Despite being one of Britain’s best riders currently competing in the World Championship, Redding never competed in a single British Championship race and came to prominence in the Spanish Championship instead. In 2008, he won the 125cc British Grand Prix to become the youngest ever winner of a GP race, a title he still holds. He’s since gone on to finish second in the 2013 Moto2 World Championship and has now taken podiums in the 125cc, Moto2 and Moto3 categories. With 4 wins and 17 podiums, he’s also the youngest rider to have contested both 50 and 100 Grand’s Prix. 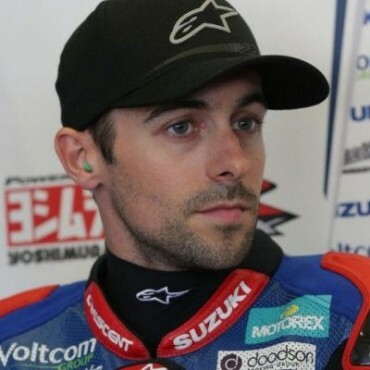 One of three racing brothers, Laverty achieved reasonable success in the British 125cc and Supersport Championships as part of the Red Bull Rookies programme before moving into the World Supersport Championship. Having finished second overall in both 2009 and 2010, with a total of 12 wins and 19 podiums, he moved into the World Superbike Championship riding firstly for Yamaha, then Aprilia and finally Suzuki. Riding for Aprilia, he finished second overall in 2014 and recorded 13 wins and 32 podiums during his WSB career. He now rides for the AsparGP team in the premier MotoGP World Championship. Daniell was famously turned down as a dispatch rider for the army due to his poor eyesight but ti didn’t stop him being a formidable motorbike racer and he was one of the few riders to win at the Isle of Man TT both before and after the Second World War, winning the 1938 and 1949 Senior races. His 1938 victory saw him lap at exactly 91mph, a lap record that stood for 12 years whilst his 1949 victory made him the first ever 500cc Grand Prix winner. He won three TT races in total with his career spanning twenty years. It was also Daniell that came up with the phrase the Featherbed Norton. 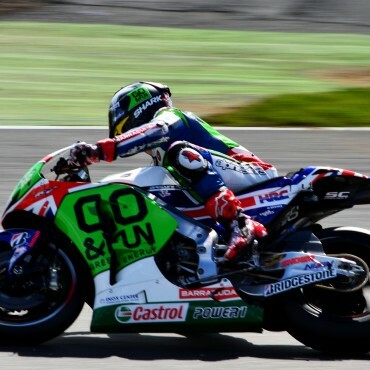 Like Scott Redding and Danny Kent, Bradley Smith chose the Spanish Championships to carve out his career and by 2006 he was a full time rider in the 125cc World Championship. Riding for firstly Honda and then Aprilia, his first podium came in 2007 and in 2009 he took two wins and nine podiums to claim second overall in the Championship. More of the same followed in 2010, when he ended the year in fourth, and two solid years followed in the Moto2 category. Since 2013, he’s competed in the MotoGP category, finishing sixth overall in 2015, and now has a career total of 25 podiums. Grimsby’s Frith was a former stonemason and later motor cycle retailer but was better known for his racing exploits, winning the Isle of Man TT of five occasions, also having the distinction of being one of a select few to win TT races before and after the Second World War. He was the first rider to lap the Mountain Course at more than 90mph, in 1937, and won the inaugural 350cc World Championship in 1949 winning all five races of the campaign. Bryans entered his first race in 1959 and just four years later was part of the official works Honda team. 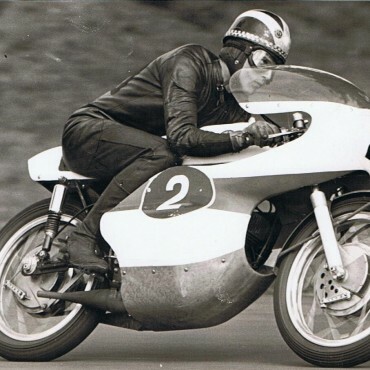 Concentrating primarily on the smaller classes, Bryans enjoyed his greatest results on 50cc and 125cc machinery, winning the world championship in the former in 1965 and finishing second in 1964 and 1966. 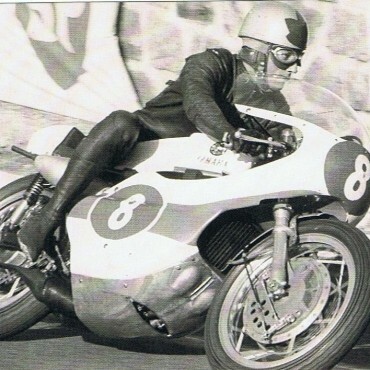 He also had a strong year in the 1967 350cc and 250cc Championships finishing third and fourth respectively and, in total, won 10 GP races and finished on the podium on 40 occasions. He was Northern Ireland’s first World Champion. Having established himself as a formidable racer on the roads, winning amongst other things, the 1970 350cc North West 200, Herron moved to the 250cc and 350cc World Championships. Competing as a privateer, Herron enjoyed excellent seasons between 1976 and 1978, finishing second in the 1977 350cc series and fourth in both the 250cc and 350cc classes in 1976. In 1978, he strengthened his position as one of the world's best privateers with fifth and sixth places in the 250cc and 350cc world championships respectively. 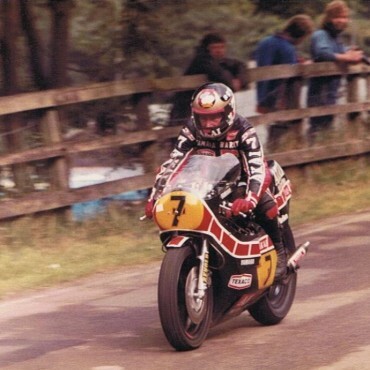 1978 also saw him set a lap record at the North West 200 of 127.63mph and his results led to him getting his big break in 1979 as he signed for the works Suzuki team. The season started well, with two podiums but a crash in Spain left him with a broken thumb although he still decided to compete at the North West 200 despite his injuries. Sadly, he crashed on the final lap of the second Superbike race and later died in hospital from his injuries. Son of Tony Jefferies, a former Isle of Man TT winner, Jefferies competed in both 500cc Grand Prix races and the World Superbike Championship whilst he was also a front runner in the British Championships, taking wins and podiums in the Superbike class and the Superstock title on three occasions. However, he’s best known for his exploits on the roads winning four races at both the North West 200 and Ulster Grand Prix. 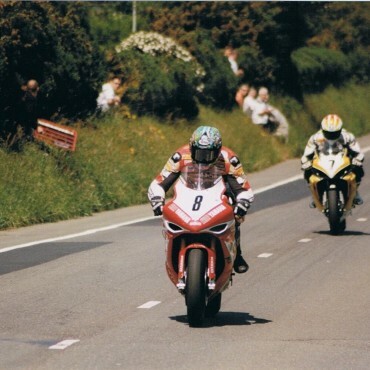 The Isle of Man TT saw him at his best though and, despite only making his debut in 1996, he took hat-tricks in 1999, 2000 and 2002, also setting a new outright lap record in 2000 and 2002. He was killed instantly in a 160mph crash at the 2003 TT when he was believed to have hit oil, the subsequent repercussions seeing the event go through significant changes. 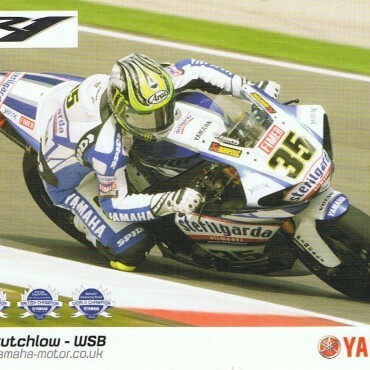 Having won the 2001 Superteen Championship, Crutchlow progressed through the Juniorstock and Virgin Mobile R6 Cup categories before winning the 2006 British Supersport Championship. Two successful years in the British Superbike Championship followed before he joined the factory Yamaha team, winning the World Supersport title in 2009 and finishing fifth in the 2010 World Superbike series. From 2011 onwards, he’s competed in the MotoGP World Championship, taking a best position of fifth overall in 2013. Riding Yamaha, Ducati and Honda machinery, he now has eight GP podiums. Grant was a works-supported rider for Norton, Kawasaki, Honda and Suzuki, and a seven-time winner at the Isle of Man TT. The Yorkshireman enjoyed a healthy rivalry with Barry Sheene in the late 1970s whilst he enjoyed great success on Kawasaki machines, winning 250cc GP’s and also breaking Mike Hailwood’s eight-year old outright lap record at the TT in 1975. The first man to lap the North West 200 circuit at more than 120mph, Grant, who always rode under number 10, was also a multiple British Champion and double winner at the Macau Grand Prix. 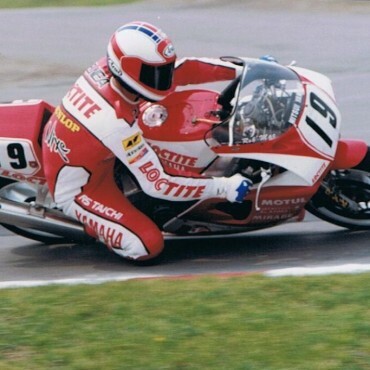 Having come to prominence in the legendary Pro-Am Series of the 1980s, Mackenzie went on to become 250cc and 350cc British Champion before moving into the 500cc World Championship on a full-time basis in 1987. His best season came in 1990 when he finished fourth overall and, riding factory bikes for Honda, Suzuki and Yamaha, he recorded seven podiums. When his GP career ended, he forged a new career for himself in the British Superbike Championship, winning the title for three successive years between 1996 and 1998. Born in 1911, Graham’s greatest success came after the end of the Second World War where he served as a pilot flying Lancaster bombers over Germany. He resumed his racing career as part of the AJS factory team and created history by winning the inaugural 500cc World Championship in 1949. He finished third the following year and was then signed by MV Agusta to develop their ill-handling 500cc machine. 1952 saw him claim second and third respectively in the 500cc and 250cc World Championships and he finally won his first TT in 1953 taking the Lightweight 125cc race. 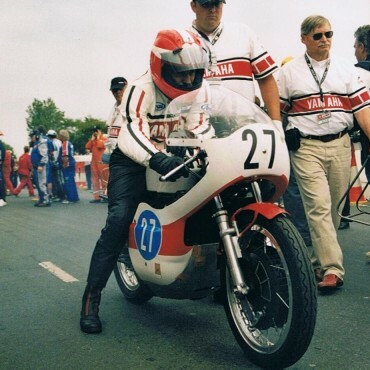 Tragically, he was killed the following day when he lost control of the 500cc MV Agusta at Bray Hill with the team withdrawing from the Championship for the rest of the year as a mark of respect. 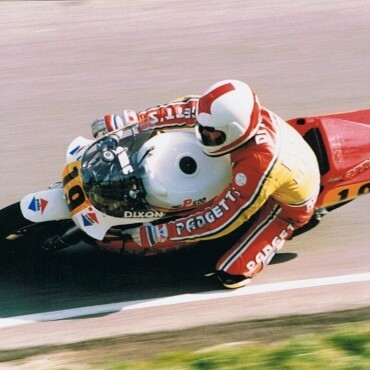 Rutter was one of the finest riders in the 1970s and 1980s and was renowned for being equally competitive on both the short circuits and public road courses. He won seven Isle of Man TT races and nine at the North West 200 with his International road racing record reading 18 wins and 59 podiums, the latter the sixth highest total of all time. He won the Formula Two World Championship for four consecutive years, 1981-1984, and was 350cc British Champion in 1971 and 250cc British Champion in 1973. His career was effectively ended by a serious accident at Montjuich Park, Spain in 1985 although he didn’t retire until 1991. He is the father of current British Superbike rider and International road race winner Michael Rutter. Mortimer was one of the UK’s finest Grand Prix riders during the 1970s, enjoying his best year in 1973 when finished second in the 125cc World Championship having finished second the year before. 1972 also saw him win the 500cc Spanish Grand Prix, giving Yamaha their first victory in the class, whilst he also finished third overall in the 1976 350cc World Championship. He took 7 GP wins and 39 podiums in total and remains the only rider to have won GP races in the 125, 250, 350, 500 and 750 classes whilst he also excelled on the roads, winning 8 TT races and the Macau Grand Prix becoming the first British rider to win at the latter. 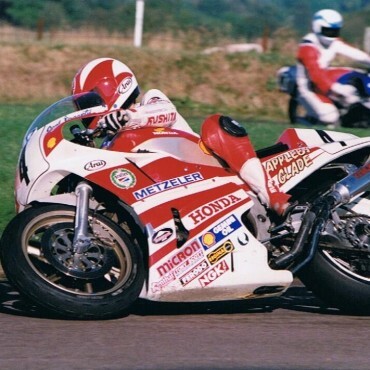 A pure road racer, Farquhar’s career started in 1995 and he’s now the most successful Northern Ireland road racer ever with over 200 road race wins in his native country. He surpassed the great Joey Dunlop’s total of 118 in 2009 and although he retired in 2012, he returned in 2014 to add more success to his total. With three Isle of Man TT wins, five at the North West 200, nine at the Ulster Grand Prix and over 100 at Oliver’s Mount, Scarborough, the Dungannon rider has won over 300 races in his illustrious career and is without doubt one of the greatest road racers ever. 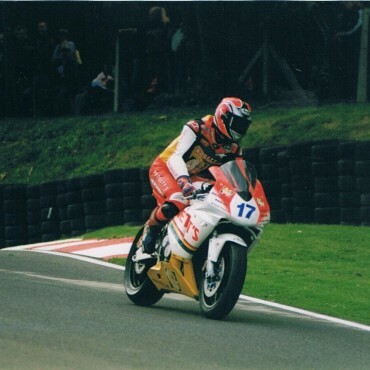 Byrne first made an impression in 2001 when he won the British Superbike Privateers Cup and just two years he not only won the main BSB Championship but also took a double victory as a wildcard at the British round of the World Superbikes. Since then, Byrne has had forays into both MotoGP and WSB, but has found greater success at home becoming the most successful rider ever in the British Superbike Championship. Riding for Honda, Ducati and Kawasaki, he’s now taken four titles, 68 wins and 157 podiums. Statistics suggest Lougher is the second most successful road racer of all-time with the Welshman having won 36 International road races and finished on the podium staggering 98 times, the latter second only to the legendary Joey Dunlop. In a career spanning, unbelievably, more than three decades, Lougher has won 18 Ulster Grand Prix races, 10 at the Isle of Man TT and 8 at the North West 200 also being the most successful rider ever at Scarborough, with more than 130 wins, and the Southern 100. Despite announcing his official retirement in 2013, he continues to race in selected events, winning the 500cc and Formula Two Classic TT races in 2014. 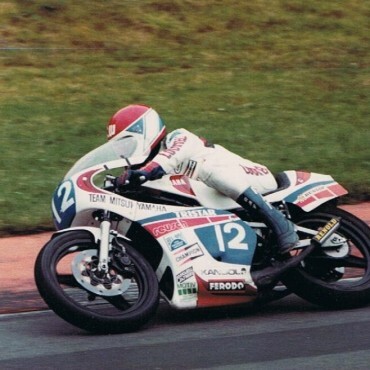 Hodgson started road racing in 1990 and just two years later was double 125cc British Champion. Two seasons in the 125cc World Championship followed before he moved into the 500cc class in 1995, finishing an excellent 11th overall. 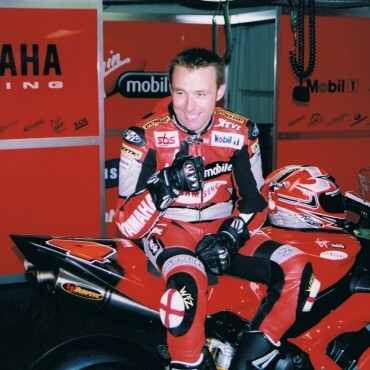 He then rode for the factory Ducati and Kawasaki World Superbike teams but had to return to Britain in 1999 to revitalise his career, doing exactly that as he won the British Superbike Championship in 2000. That allowed him to return to the World Superbike series, going on to win the world title in 2003. Then last five years of his career were spent racing in the American Superbike Championship before he retired at the beginning of 2010. After three strong years in the British Supersport Championship, finishing second overall in 2006, Sykes spent two strong years in the British Superbike series in 2007 and 2008 and fourth overall in the second year, along with a World Superbike wildcard podium, allowed him to move onto the World stage on a full-time basis with Yamaha in 2009. For 2010 he moved to the factory Kawasaki team, where he’s remained ever since, and after finishing second to Max Biaggi in 2012, missing out on the title by half a point, he won his first World Championship in 2013. Second overall was again the outcome in 2014, finishing just six points behind Sylvain Guintoli, with third taken in 2015. Son of a former TT winner, Rea started out in motocross before joining Red Bull Honda for whom he contested the British 125cc, Supersport and Superbike Championships, finishing second in the latter in 2007. For 2008, he moved into the World Supersport Championship, again finishing second overall, and from 2009 onwards he’s been ever-present in the World Superbike Championship. The Northern Irishman remained loyal to Honda taking third in 2014 and fourth in 2010 but with the Fireblade’s competitiveness waning, he switched to Kawasaki for 2015 and dominated the series becoming Northern Ireland’s fourth World motorcycle champion. He now has a career total of 29 WSB wins and 65 podiums. Like Bill Lomas, Sandford had a reasonably short career but was also a two-time world champion and two-time Isle of Man TT winner. Having started racing in scrambles and grass track, the Gloucestershire rider rode for the factory AJS team before joining MV Agusta in 1952, immediately winning the 125cc World Championship, the first for the Italian giant. 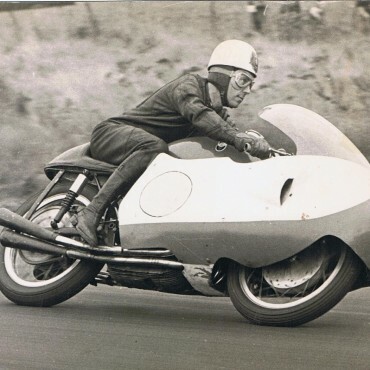 Second followed a year later before switching to Moto Guzzi and his final year of competition came in 1957 when he won the 250cc World Championship and then retired from the sport. Toseland had his career fast-tracked by Honda and after just one season of British Championship racing in 1997, he found himself riding in the World Supersport Championship in 1998 and 1999. 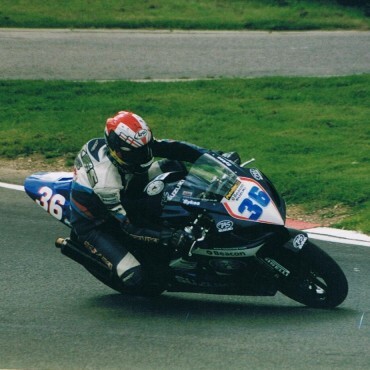 Glimpses of his talent could be seen but he moved to the British Superbike Championship in 2000 before joining GSE Ducati and the World Superbike Championship in 2001. His results gradually improved, taking his first win in 2003 on his way to third place overall and that saw him signed by the factory Ducati for the next two seasons, winning his first World title in 2004. In 2006, he moved to the Ten Kate Honda team, finishing second that year before winning his second World title in 2007. Two years were then spent in the MotoGP World Championship before he moved back into WSB in 2010, retiring from racing a year later due to a wrist injury. Younger brother of Joey, Robert Dunlop made his road race debut in 1979 and, after winning the 1983 350cc Newcomers Manx Grand Prix, took his first International in the 1986 350cc North West 200. 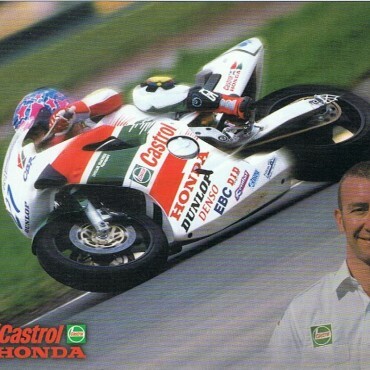 Like Joey, he was equally as good on 125s as he was on Superbikes and his first TT win came on the former in 1989. A year later, he was part of the JPS Norton Superbike team winning at the North West 200 and finishing on the podium at the TT. Dunlop took the 1991 125cc British Championship, further emphasising his versatility, but he suffered serious injuries after a crash in the 1994 Formula One TT race, caused by the rear wheel collapsing. 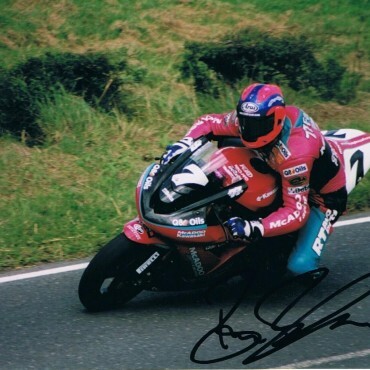 He returned in 1996 and went on to take his fifth TT win in 1998 and his 15th North West 200 win in 2006 but he was killed in practice at the latter in 2008 when his 250cc Honda seized, mistakenly hitting the front brake, which was situated beside the clutch on his specially modified bike, subsequently being thrown over the handlebars at approximately 160 mph. 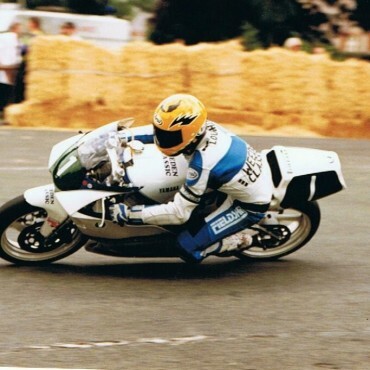 A double Manx Grand Prix winner at his first attempt in 1988, McCallen went on to be the dominant force at the Isle of Man TT in the 1990s, winning 11 races including four in a week in 1996, a record that stood until 2010. The Northern Irishman was also a multiple winner at the North West 200 and Ulster Grand Prix, being the only man to win five races in a day at both meetings. He was also victorious at the Macau Grand prix and was considered to be one of the finest road racers of his generation. He retired at the completion of the 1999 TT Races. Haslam started racing as a teenager in the early 1970s but it was when he joined Halifax car dealer Mal Carter that his career really took off and, having finished second in the 750cc British championship in 1975, '76 and '77, he was signed by Honda Britain and rewarded them with the 1979 World F1 Championship following it up a year later with the World F3 crown. 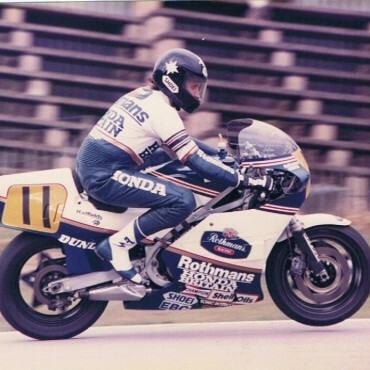 Between 1979 and '84 he won four British titles for Honda, also winning the 1982 Isle of Man TT F1 race. That prompted an eight year career in the 500cc World Championship riding for primarily Honda but also Suzuki and Cagiva, taking a career total of nine podiums. 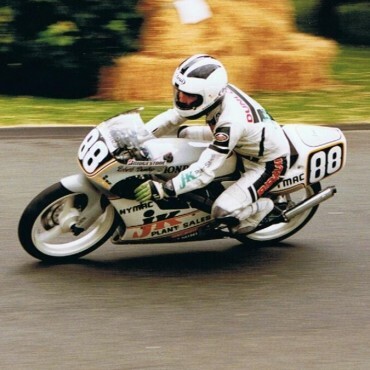 In 1991, he returned to the UK and enjoyed further success with JPS Norton in the British Superbike Championships before setting up Team Great Britain where he continued to ride in the 125cc and 250cc British Championships. He also won the Macau Grand Prix six times during the 1980s and, having scaled down his activities, he finally retired for good at the end of the 2004 season. Lomas had a relatively short career in the 1950s but during that time he was a member of the factory Moto Guzzi team and won the 1955 and 1956 350cc World Championships. He also won the 250cc Lightweight and 350cc Junior TT races in 1955 and rode the famous V8 Moto Guzzi in the 500cc class. A racing accident at the early season Imola International in 1957 led to him retiring from racing and in 27 Grand Prix starts, he took a total of 9 wins and 16 podiums. He died at the age of 79 in 2007 from complications following a heart attack. 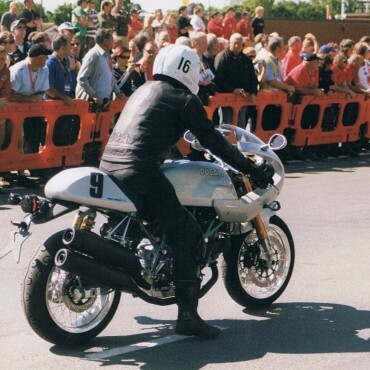 A former Senior Newcomers Manx Grand Prix winner, Hutchinson took his first Isle of Man TT win at the Centennial meeting of 2007 and, having taking a double victory in 2009, he created history a year later when he won all five solo races, the only rider ever to have achieved the feat. Terrible leg injuries sustained in a short circuit accident at Silverstone cost him the next three years of his career but he bounced back at the end of 2013 with victory at the Macau Grand Prix and then took a treble at the 2015 TT Races to make it 11 wins and 20 podiums on the island in total. He’s also been victorious at the North West 200 and Ulster Grand Prix as well as being strong in the British Championship. Hartle began racing in 1952 and by 1955 he had become a member of the works Norton team, riding for them again in 1956. This led to him being signed by the MV Agusta team for three seasons, finishing second in both the 1958 350cc and 500cc World Championships behind team-mate John Surtees. In 1960, he claimed his first TT win with victory in the 350cc Junior TT and took second in the 500cc World Championship again in 1963, this time riding for Geoff Duke’s Gilera team. In 1967, he won the inaugural 750cc Production TT race as well as finishing third in the 500cc World Championship. He was killed in 1968 though after crashing at Oliver’s Mount, Scarborough with his career record reading five Grand Prix wins and 34 podiums. He always carried his hometown’s coat of arms, Chapel-en-le-Frith on his helmet and in 2010 was recognised by the Derbyshire town with a blue wall-plaque attached to the building which now stands were he used to live. Simpson spent many years as a works rider, primarily with AJS and Norton, and was one of the most successful riders before the Second World War. He is best remembered for becoming the first rider to lap the Isle of Man TT course at more than 60,70 and 80mph although it took him 12 years to win his one and only TT race, the 1934 Lightweight 250cc. He took nine podiums at the TT though and won over 20 Grand Prix races on the continent being a multiple European Champion. Simpson died in 1981 at the age of 83 whilst the Jimmy Simpson Trophy continues to be awarded annually at the TT to the rider who sets the fastest lap of the meeting. 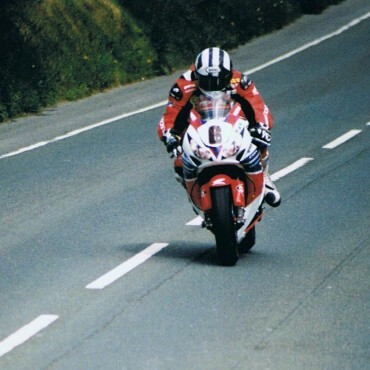 Son of Robert, younger brother of William and nephew of Joey, Michael Dunlop made his racing debut as a teenager with his first outing on the Mountain Course seeing him win the 2006 Ultra-Lightweight Newcomers Manx Grand Prix. He immediately moved up to the TT and only had to wait two years before recording his first victory, the 2009 Supersport 600cc race, at the age of 20. Renowned for his aggressive riding, he’s since become one of the greatest TT racers of his generation and currently has 11 wins and 20 podiums riding Yamaha, Kawasaki, Honda and BMW machinery. Despite being only 26, Dunlop has won more TT races than any other rider by the time they’d reached that age whilst he’s also won multiple races at the North West 200, Ulster Grand Prix, Southern 100 and Classic TT. Arguably, one of his finest moments came in 2008 when, less than 48 hours after the death of his father at the North West 200, he went took a stunning and emotional victory in the 250cc race. Standing at just 5’3, Ivy was diminutive stature but big in heart and established a formidable reputation on the UK circuits across the classes. At the end of 1965, he was chosen by Yamaha to ride in the World Championships and finished second overall in the following year’s 125cc World Championship. With eight wins from 12 races, he dominated the 1967 series to claim the world title whilst he also finished third overall in the 250cc Championship. 1968 saw him go head to head with team-mate Phil Read in what went down in the history books as one of the biggest feuds in racing. Ivy became the first rider to lap the TT course at more than 100mph on a 125cc machine and Yamaha ordered him to win the 250cc title and Read the 125cc. However, Read ignored team orders and took both titles with Ivy announcing his retirement. He returned with Jawa in 1969 but was killed at the East German GP aged just 26. Guthrie was born in Hawick, Scotland in 1897 and had a phenomenal racing career which included 19 Grand Prix wins, 6 wins at the Isle of Man TT and 3 victories at the North West 200. His debut at the TT came in 1923 but he didn’t return until 1927 when he took second in the Senior although the following year saw him crash in practice at Greeba Bridge. His first victory came in 1930 when he won the Lightweight race on an AJS. That saw him join the factory Norton team, for whom he rode for the rest of his career, and after taking a number of podiums, he took his first victories for the British manufacturer in 1934 when he completed a Junior-Senior double. Three more TT victories were taken but, having won the Junior race earlier in the week, his final TT race came in 1937 when he retired at the ‘Cutting’ on the fifth lap of the Senior. He died while racing in Germany a few months later with a memorial being erected in 1939 at the site of his final TT retirement. As a youngster, Hislop worshipped fellow Hawick-resident Jimmy Guthrie with his own racing debut coming in 1979. Despite the loss of his brother in a racing accident, Hislop went on to become an Isle of Man TT legend, claiming 11 victories and a further eight podiums between 1985 and 1994. This included victory over arch-rival Carl Fogarty in the 1992 Senior TT – regarded by many as the greatest TT race in history. The Scot was the first rider to lap the TT Course at more than 120mph, in 1989, and was also a formidable short circuit competitor, winning the 1990 British 250cc Championship and British Superbike Championship twice in 1995 and 2002. In 2002, he lapped Donington Park quicker on his Ducati Superbike than Valentino Rossi’s Moto GP machine, a phenomenal achievement, but he tragically lost his life in a helicopter accident in July 2003. A tough Glaswegian, McIntyre won the 1952 Manx Grand Prix and a year later claimed his first International win, the 350cc North West 200 race. After further success riding for Joe Potts, his big break came in 1957 when he deputised for the injured works Gilera rider Geoff Duke, finishing second in both the 350cc and 500cc World Championships. 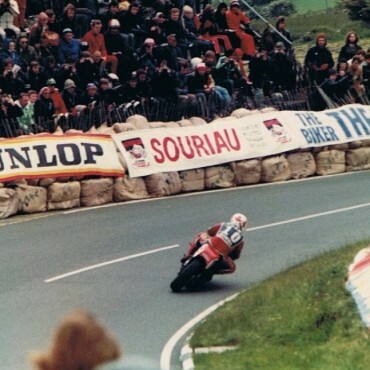 He ensured his name would go in the history books forever when he became the first man to lap the Isle of Man TT course at more than 100mph on his way to winning the Senior race. In total, McIntyre won three TT races and four at the North West 200 but it would certainly have been more had he not retired whilst leading a number of them, his riding style sometimes said to be too hard on the machines of the time. The 1962 250cc World Championship was well within his grasp but at Oulton Park in August, just after winning the 250cc race in poor conditions, he crashed in the 500cc race suffering serious head injuries and passed away nine days later. Dubliner Woods started racing in 1921, making his Isle of Man TT debut a year later when he finished a superb fifth in the Junior race, despite being aged only 17. Continuing on a Cotton, he won the race the following year to become the then youngest race winner of a TT race and then moved to the Norton factory where he enjoyed some of his finest moments. Five TT wins were taken for the British manufacturer before switching to Moto Guzzi in 1935 for whom he promptly won the Senior race, only the second time a non-English motorbike had won. He also won the Lightweight race that year whilst his final two TT victories came aboard Velocettes in the 1938 and 1939 Junior races. Competing against illustrious names like Jimmy Simpson, Jimmy Guthrie, Wal Handley, Freddie Frith and Harold Daniell, it gave him a career record of ten Isle of Man TT victories which remained unbeaten until 1967. He also won 29 Grand Prix races on the continent. 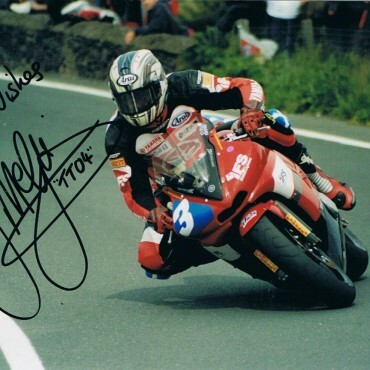 McGuinness established himself on the short circuits in the 1990s, becoming one of the UK’s finest 250cc riders and winning the British Championship in 1999. He went on to be a race winner in both the British Supersport and Superstock Championships but he’s best known for his exploits on the road with his current tally of 23 Isle of Man TT race wins being the second highest of all time with the Morecambe man rightly recognised as being one of the greatest of all time. His first win came in the 250cc race of 1999 and he’s now taken more podiums, 44, than any other rider. The Superbike class has seen him excel the most, with 15 victories coming in the 1000cc class, and with the exception of one year (2014), he’s been the outright lap record holder at the TT since 2004 with his current best lap standing at 132.701mph. He was the first rider to break the 130mph barrier, in 2007 and, having ridden for the factory Honda team since 2006, he’s also taken victories at the North West 200, Ulster Grand Prix and Macau. In 2013, a left-hand bend just before the top of Barregarrow on the TT course was named McGuinness's in recognition of his achievements. Duke came to prominence at the 1949 Manx Grand Prix, finishing second in the Junior race, after remounting due to a spill, and winning the Senior race with a record lap and race-average speeds. He also won the Clubman’s TT that year and it prompted the factory Norton team to sign him up for the 1950 season where he won the Senior TT, breaking lap and race records, and finishing second in the Junior. He went on to win the 350cc and 500cc World Championships for Norton in 1951 retaining the former in 1952 and that success led to him joining Gilera for 1953. He won three consecutive 500cc World Championships for the Italian manufacturer, also coming close to the first ever 100mph lap of the TT course when he lapped at 99.97mph in 1955. The following year, he supported a riders' strike demanding more start money and it led to the FIM suspending him six months, denying him a chance of a fourth successive title. 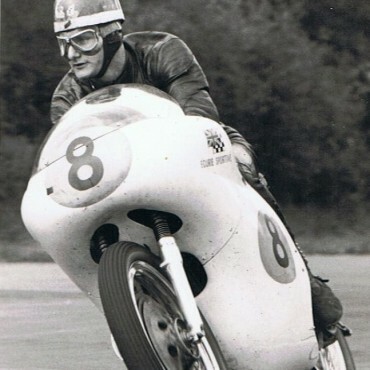 His best days were now behind him, eventually retiring in 1959 and he briefly went into team management for Gilera’s comeback in 1963 whilst part of the TT course was named after him in 2003. He passed away at the beginning of 2015, aged 92. Son of a London motorcycle dealer, Surtees started out in grass track but soon switched to the tarmac and made his first headlines in 1951 when, aged just 17, he gave factory Norton rider Geoff Duke a strong challenge at Thruxton. He got his first taste of a factory machine in 1955 when he rode for Norton, defeating reigning World Champion Duke at Brands Hatch, and he subsequently accepted an offer from MV Agusta for the 1956 season. 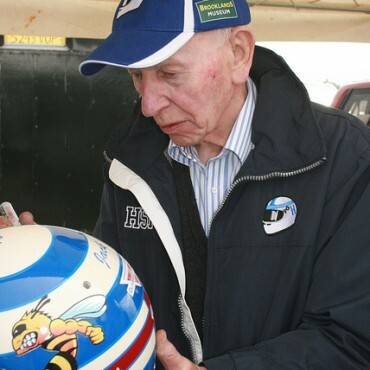 Surtees rode for the Italian giant from 1956 until 1960 and during that time he was the dominant force in the 350cc and 500cc World Championships, winning his first World title in the 500cc category in 1956. He had to play second fiddle to Gilera in 1957 but between 1958 and 1960, he won 32 out of 39 races with his overall Grand Prix record reading 38 wins and 45 podiums. He quit motorbike racing, at the age of just 26, with seven world titles to his name and took up car racing soon establishing himself within the World Formula One Championship. He went on to win the title for Ferrari in 1964 becoming the first, and only man, to win world titles on two wheels and four. Nicknamed "The Prince of Speed", Read may have been controversial but is without doubt one of the greatest motorcycle racers ever to come from Great Britain and his tally of 52 wins and 121 podiums are still, respectively, the seventh and sixth highest of all time despite his last GP coming back in 1976. His first major win was the 1960 Junior Manx Grand Prix which he followed a year later with victory in the same race at the TT. Deputising for the injured Derek Minter, a solid year with Gilera in 1963 saw him signed by the factory Yamaha team for the following season. The Japanese manufacturer gave him some of his finest moments as he won four World titles for them between 1964 and 1968, famously defying team orders in the latter as he defeated team-mate Bill Ivy in both the 125cc and 250cc World Championships. 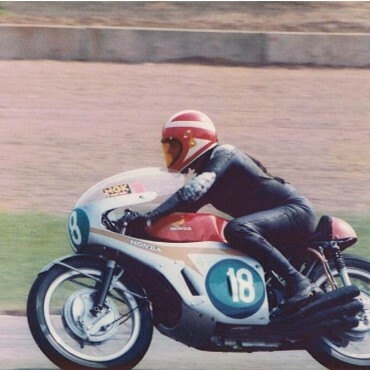 Another 250cc title followed in 1971 before he moved to MV Agusta adding two 500cc titles to his collection in 1973 and 1974. In total he won 8 World Championships, 8 Isle of Man TT races and was the first man to win World Championships in the 125cc, 250cc and 500cc categories. 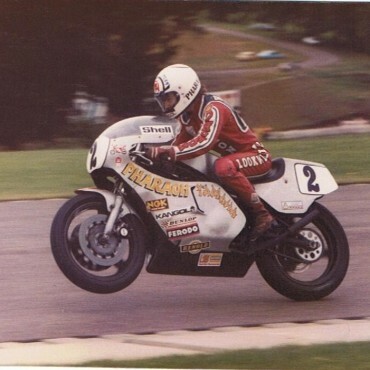 Having won the 1985 Lightweight Newcomers Manx Grand Prix, Fogarty immediately moved to the British Championships only for two broken legs to halt his progress on the 250s. He switched to 750cc machines in 1988 going on to win three successive World Formula One Championships as well as three Isle of Man TT races. Moderate success was taken in the World Superbike Championship before he took his first race win in 1992 on a privately-entered Ducati, a year that also saw him finish a close second to Steve Hislop in the Senior TT, considered by many to be the greatest TT race of all time. Having been signed by the works Ducati team, he then turned his attention full time to the World Superbike Championship and between 1993 and 2000, he established himself as the greatest WSB racer of all time. During that time, he won 59 races and four World Championships, totals that remain unbeaten, with over 120,000 fans attending the 1995 WSB round at Brands Hatch. Injury forced him to retire in 2000 and he then managed the Petronas Foggy team between 2002 and 2006 whilst victory in the 2014 ITV programme ‘I’m a Celebrity..’ catapulted his fame and status to a whole new audience. Sheene first started to race in 1968, becoming the British 125cc champion, aged 20 in 1970, and immediately moved into the 125cc World Championship finishing second overall in 1971 after taking three GP wins. By 1973, he’d been signed by the factory Suzuki team finishing sixth overall in the 1974 500cc World Championships but at the beginning of 1975, he had a spectacular, 175mph crash at Daytona when the tyre blew resulting in a broken, thigh, collarbone and ribs. Just seven weeks later he was back racing and took his first 500cc GP win later that year. By 1976, the RG500 Suzuki was at its best and Sheene dominated both the 1976 and 1977 seasons to become double 500cc World Champion. He had to give best to Kenny Roberts for the next three seasons but a move back to Yamaha paid dividends and the 1981 and 1982 seasons saw him back to his best. However, another 175mph crash, this time at Silverstone, left him with shattered legs and although he returned to racing, taking a final podium in 1984, he retired at the end of that season. The first global British superstar, Sheene took motorcycling in the UK to unseen heights and was a name that everyone knew, irrespective of whether they were a motorbike fan or not. He later emigrated to Australia but sadly died from cancer in 2003, aged just 52. Without doubt, the greatest real road racer ever, William Joseph Dunlop’s career was steady to begin with and although he won his first Isle of Man TT race in 1977, it wasn’t until 1980 when his career really took off. That year saw him win the Classic TT, defeating the works Hondas of Mick Grant and Ron Haslam and a year later he was signed by the Japanese manufacturer, starting a relationship that was to last 20 years. The Northern Irishman went on to win five successive World Formula One Championships (1982-1986) for Honda and it’s his success on the roads that saw him become famous all around the world. A shy, retiring and humble man, traits that endeared him to everyone, Dunlop’s achievements include three hat-tricks at the Isle of Man TT (1985, 1988 and 2000), where he won a record 26 races in total, a record 24 wins at the Ulster Grand Prix and 13 at the North West 200. In total, he stood on an International podium 112 times whilst he was awarded the MBE in 1986 for his services to the sport, and in 1996 he was awarded the OBE for his humanitarian work for children in Romanian orphanages to which he regularly delivered clothing and food. 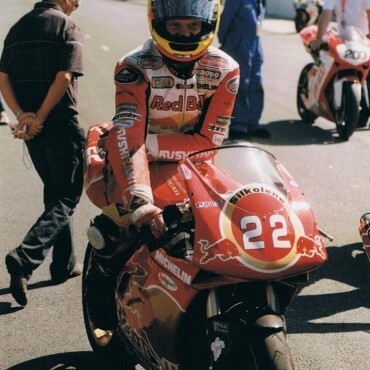 Having taken three wins at the 2000 TT, including his first victory in the F1 race since 1988, Joey was killed less than a month later at Tallinn, Estonia after crashing whilst leading the 125cc race. Remaining apolitical and anti-sectarian, both Catholics and Protestants supported him during a time of civil unrest in Northern Ireland and over 50,000 mourners attended his funeral. As well as being recognised as Britain’s greatest ever motorcycle racer, Mike Hailwood is considered by many to the greatest of all time such were his achievements. The oxford-born rider was immediately successful as a teenager and his talent was obvious for all to see as he rode 125cc, 250cc, 350cc and 500cc bikes to victory right from the very beginning. He could jump from one to the other with consummate ease and after winning numerous British Championships, he soon moved on to the world stage, winning his first world title, the 250cc, in 1961 at the age of just 21. He also won three Isle of Man TT races that year, the first man to achieve the feat, and it saw him signed by MV Agusta going on to win four successive 500cc World Championships, 1962-1965, for the Italian giant. He then moved to Honda, taking the 250cc and 350cc crowns in 1966 and 1967, although the 500cc crown ultimately eluded them. He retired from full time racing at the end of 1967 with 12 Isle of Man TT victories and nine world titles to his name. After being successful in both F1 and F2 car racing, he made a sensational return to racing in 1978, with two more victories at the TT coming in the 1978 Formula One and 1979 Senior races. He retired for good at the end of 1979 but was tragically killed, along with his daughter, in a road accident in March 1981 when a lorry driver performed an illegal u-turn. Do you agree with our Top 80 British Riders of all time? Share your comments below! Big thanks to Phil Wain’s Family Archive for the images!